TIPS TO GET YOUR DOG, AND YOURSELF, READY FOR THE LIMELIGHT! Every truly avid dog-owner wishes for the chance to show off his pet at the nearest dog show. It is both a way to validate your pride in owning your pet and a chance to see other beautiful dogs in action. For the first timer, however, entering the world of competitive dog shows can truly be a daunting experience. 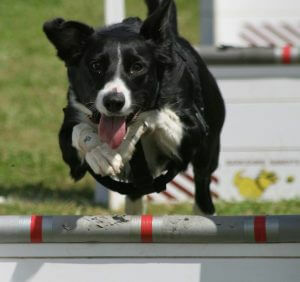 Everybody has to start somewhere and entering dog shows requires that you know what to expect. Read up on the literature. Go to dog shows as a spectator first and observe the process. Get a good grasp of the jargon, knowing the difference between all-breed dog shows and specialty shows can help a lot in determining what shows to join and how to get your pet ready. Knowledge of your pet is essential when getting ready for a dog show. A little effort in researching your dog’s breed and health history can pay off immensely. Getting familiar with your dog’s quirks, habits and abilities is also a great way to bond with them and paves the way to a successful performance in the show ring. 3. Training – lots of training! Training for the show, for yourself and your dog is very important. It is advisable that you have the help of a trained handler when you’re starting out. Training dogs also requires conditioning them physically so that they are in tip-top shape when they participate in the show. Remember, dog shows can be extremely competitive. A well-trained dog is both pleasant to observe and participate with. Every dog needs a visit to the vet when getting ready for a show day. Having your pet inoculated is a standard procedure to protect your dog, and other dogs, from spreading diseases during the event. A check-up on your pet’s physical condition would also help greatly in assuring that your pride and joy is ready for the show. Learning is a continual process. Asking questions from handlers and veterinarians on how you should treat or handle your dog can open up insights on caring for it. Invest in a durable and lightweight crate to keep your pet contained during the event when not participating and keep plenty of fresh water, treats and toys handy to keep your pet hydrated and entertained. These six simple tips are just the beginning. Like they say, experience is the best teacher, but with this advice you’re well on your way to getting your dog ready for the show.